Microsoft surprised the world when it turned a beloved AI from the Halo game series into a virtual assistant Windows 10, giving Google Voice and Apple Siri a run for its money. Microsoft has also released Cortana for Android devices across the United States and plans to roll out the voice assistant for users in other countries soon. 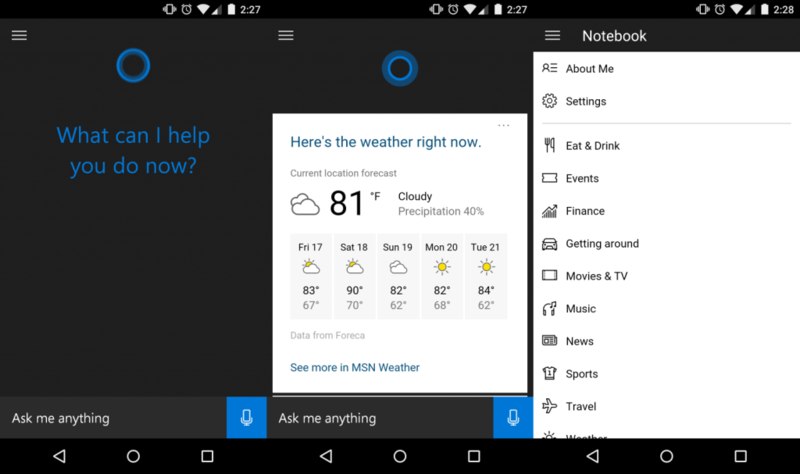 If you are among the lucky ones who can try out Cortana for Android right now, here are some great things you must try out right away. While it does not offer the same deep-level functioning that it does on Windows Phone, Cortana doubles up as a pretty nifty voice assistant for daily use on Android. We love Google Now for all the personalized features it offers, and Cortana is aimed to do the same once you configure it. 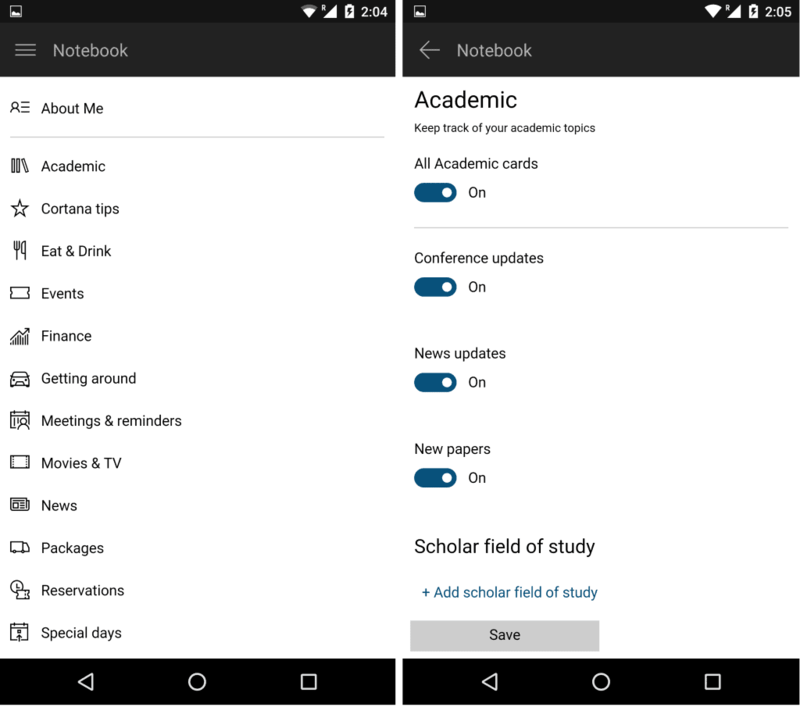 To “teach” Cortana what kind of information cards and updates you would like to see in the future, tap the three-line menu icon and select “Notebook”. A list of different options will pop up on the next screen, all of which will help your new personal assistant learn more about you. Apart from your personal details in the “About Me” tab, you can add loads of other information from a list of different topics and enable them if you want Cortana to keep you updated on them. Just like Google Now, Microsoft has built Cortana to be more than just a fancy gimmick, but help takes some load off the users with real-world applications. While most of the Settings section is covered with legal mumbo-jumbo like service agreements and more, the top part of the Settings page is where the good stuff is at. You can start enabling the cool productivity features like “Missed call notifications”, set up Cortana voice shortcuts, and even manage your profile to know what Cortana is scanning through to get to know you better. 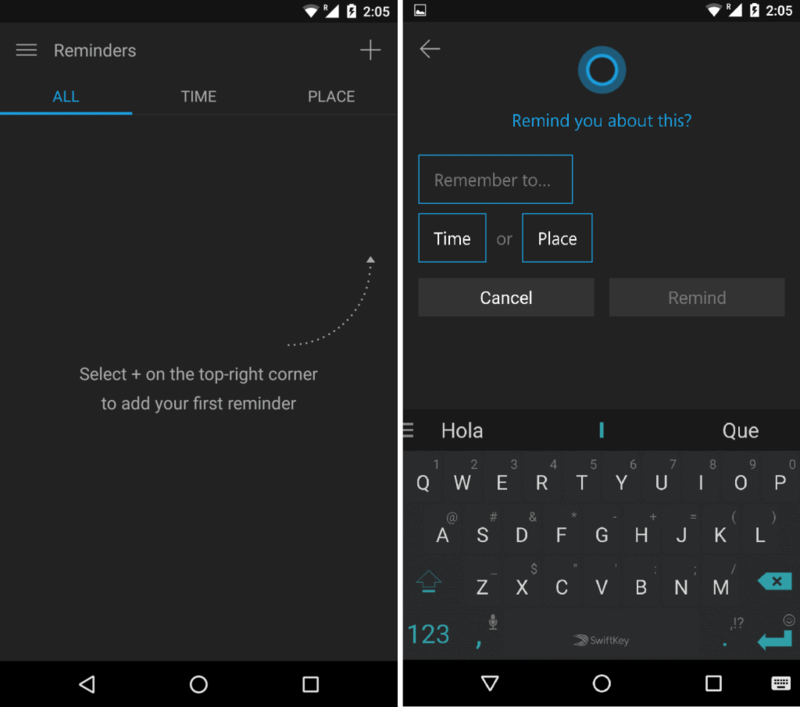 Microsoft has dedicated an entire section to reminders on the Cortana app for Android. You can either set these reminds old-school style by typing them in, or narrate them to Cortana. The reminders can be saved on the basis of time, place, or both of them together. Text ___: (say the message). Send a message to ____: (say the message). Show me messages from ____. Play ____ (artist, song, album, genre, playlist). What is 5 x 341234? Show me the top headlines. Convert $100 USD to Mexican pesos. Add ____ to my meeting with ____. Cancel meeting with ____ tomorrow. What’s on my calendar for ____? Take note: (say a list of things to do, factors, descriptions, etc.). How is traffic on my way home? Are there any ____ restaurants near me? What is the status of flight ____? 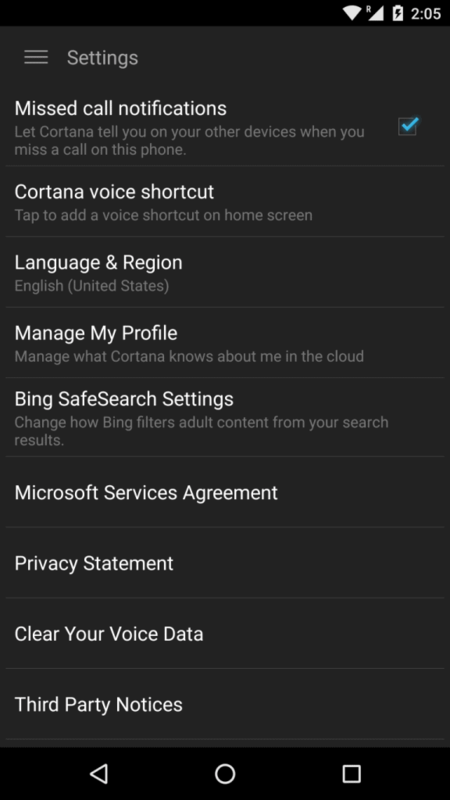 With the new updates and gradual use, you will discover tons of other commands and cool features hidden in Cortana for Android. Did we miss out a cool Cortana feature that you would like to point out? Let us know in the comments.